Cable entry: 3/4" et x 2nos. 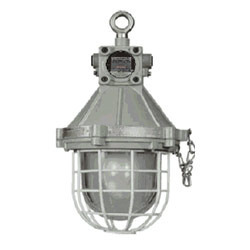 Provided in the market in the timeliest manner and at the most reasonable rate possible, the range of Flameproof Light Fixtures. has a high preference in the market. Making of this range is done as per the set industry norms and guidelines, utilizing the finest raw materials and modern machines. 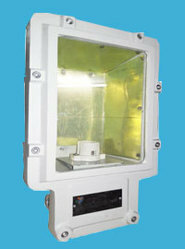 This ensures the product’s performance, capacity, strength and precision. 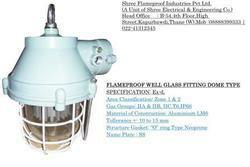 Lamps: LED Lamps/CFL/GLS Lamp/ PL Lamp/HPMV Lamp.vi. Entry: Maximum 3 Nos. (2 from side and 1 from top side). Rated Voltage: 250V AC 50/60 Hz. MOC: Aluminum Alloy (LM6)ix. Mounting: Different for different type of fitting. Earting:-Internal -01 No. External -02 Nos.